Day of the Veterans and Fallen of the Malvinas War, typically referred to as Malvinas Day, is a public holiday in Argentina. It is observed annually on April 2. 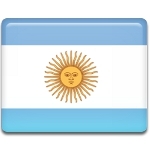 The name of the holiday refers to the Falkland Islands that are known as the Malvinas Islands in Argentina. It honors the memory of Argentinian soldiers who sacrificed their lives in the Falklands War, which began when Argentina occupied the archipelago on April 2, 1982. The occupation lasted for ten weeks and resulted in death of 649 Argentinians. The Falkland Islands have been the subject of a sovereignty dispute since the late 18th century. The United Provinces of the Río de la Plata (now Argentina) tried to claim the archipelago, but in 1833 the UK reasserted its sovereignty over the islands. The Falkland's War was Argentina's failed attempt to establish the sovereignty over the Falklands. Malvinas Day was established in 2000 and first celebrated in 2001. It replaced the Day of Argentine Sovereignty over the Malvinas, Sandwich and South Atlantic Islands. The holiday is not observed in the Falkland Islands, although there is a related holiday called Liberation Day. It is celebrated on June 14 to mark the end of the Falklands War.